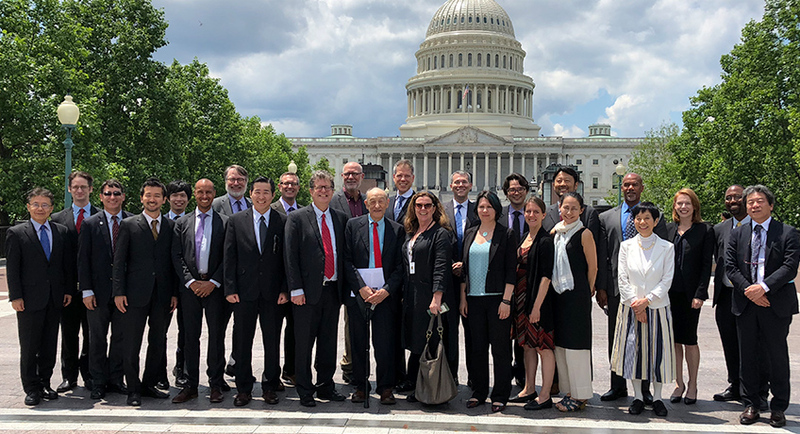 This program identifies, nurtures, and enhances a network of U.S.-based Japan specialists bringing diverse expertise and perspectives to the bilateral policy-making process in the mid- and long-term. It is conducted in collaboration with the Maureen and Mike Mansfield Foundation and the program Advisory Committee (AC). U.S.-based applicants must be U.S. citizens or permanent residents in the U.S. who have a working knowledge of the Japanese language. Japan-based applicants must be Japanese nationals who are able to contribute to discussions in English. Applicants must have a working knowledge of the Japanese language. Scholars must demonstrate professional interest in Japan, and be at advanced assistant or early associate professor levels. Policy professionals should have a Master's degree and at least five years of Japan experience and must demonstrate strong engagement with Japan and work experience in policy-relevant fields. Participants must be fully dedicated to the two-year program and able to participate in all scheduled meetings. Participants are required to prepare one policy brief on important issues in the US-Japan relationship and present the findings in a public symposium and current issues panel discussion in June 2021 in Washington D.C. The program will cover the costs of travel, accommodations, and meals associated with participation in program meetings and study trips. Applications are not being accepted at this time, please check back or sign up for our newsletter for updates. Please refer to the Maureen and Mike Mansfield Foundation page for further information on the program and the application process.